Airborne Adventure has an inner capsule where the guest is harnessed beneath a parachute. A flick of the switch and the rider moves skyward at high (but safe) speed, suspended from the parachute that lifts to almost 20’ for a birds eye view! 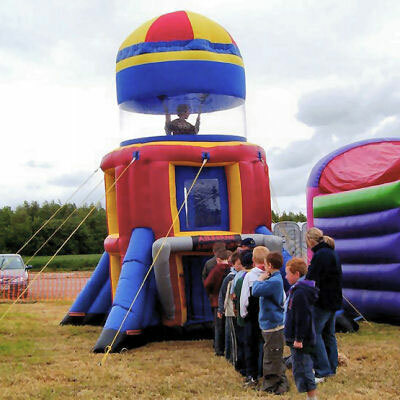 This interactive inflatable provides an exciting atmosphere for participants and onlookers alike. Airborne Adventure will add an element of excitement to any sized event. Airborne Adventure is a popular pro quality inflatable rental throughout Chicago and its surrounding areas. This inflatable is perfect for events such as picnics, birthdays, corporate gatherings, block parties and more.